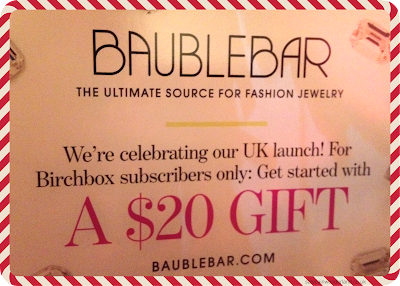 Saloca in Wonderland: Birchbox UK December 2013 - Merry Birchbox! Birchbox UK December 2013 - Merry Birchbox! 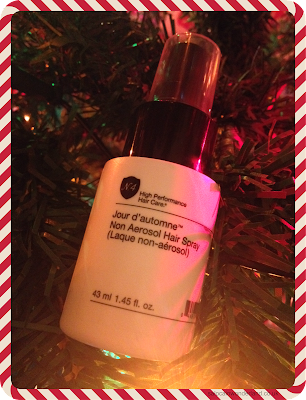 Merry Birchbox everybody! 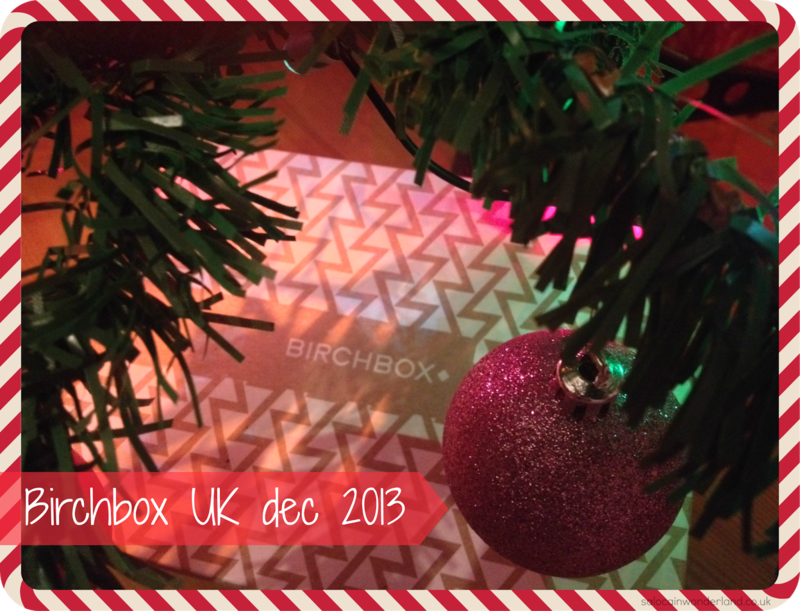 I do love a good subscription box at Christmas time – so lets see what festive goodies Birchbox UK had to offer this holiday season! 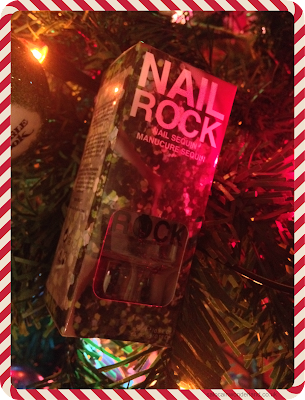 Coming home to a Birchbox under the tree, it was like having a mini pre-Christmas! 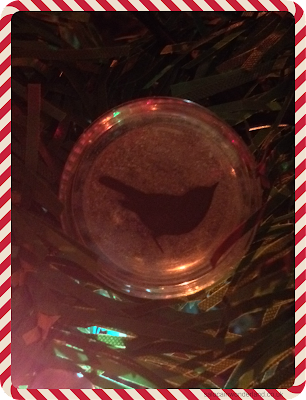 This months theme was all about sparkle and shine, with products to do just that throughout the festive month. I’m really intrigued by this, anything that’s good for my hair and the environment goes right on my to-try list. I’ve got the big works Christmas party coming up this weekend so I’ll be giving this a test run and seeing if non-aerosol hairsprays are the way to go! I did almost pick up at Ciante nail glitter kit the other night so I’m glad I held back and saved the ££. I got a really Christmas tree green glitter in my Nail Rock box, not really a colour I usually go for and the glitter is closer to the size of sequins than the glitter I’m used to! I have a feeling this is going to be a messy experiment. The varnish is clear, nothing fancy there. It does feel like a really cheap version of the Ciante ones so maybe I won’t be so happy I held out on buying one. I love these fabric snag free bands, I bought a bunch from Prairie Charms a while back and they’re amazing! 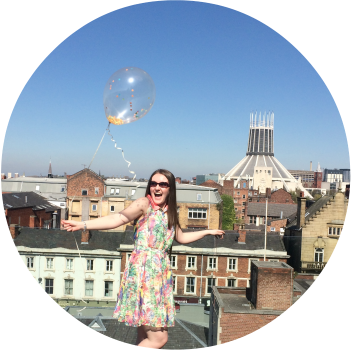 They last longer than normal elastics and are great for my hair! 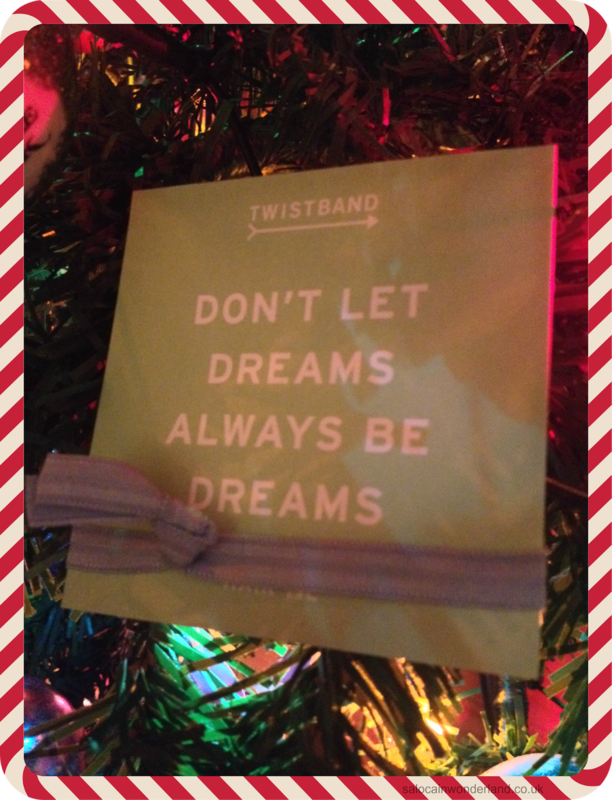 This one’s from a company called Twistband. It’s really thin and is nowhere near as strong as my Prairie Charms bands, it wouldn’t hold a pony tail but it would work well in the end of a braid. The quote card is really cute though! 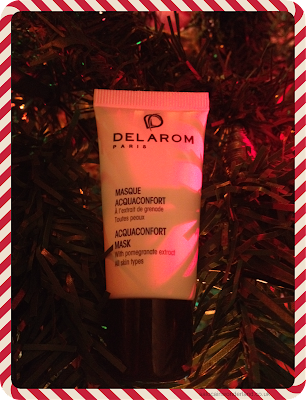 Can’t go wrong with a face mask, and with the party season fast approaching we need them more than ever! 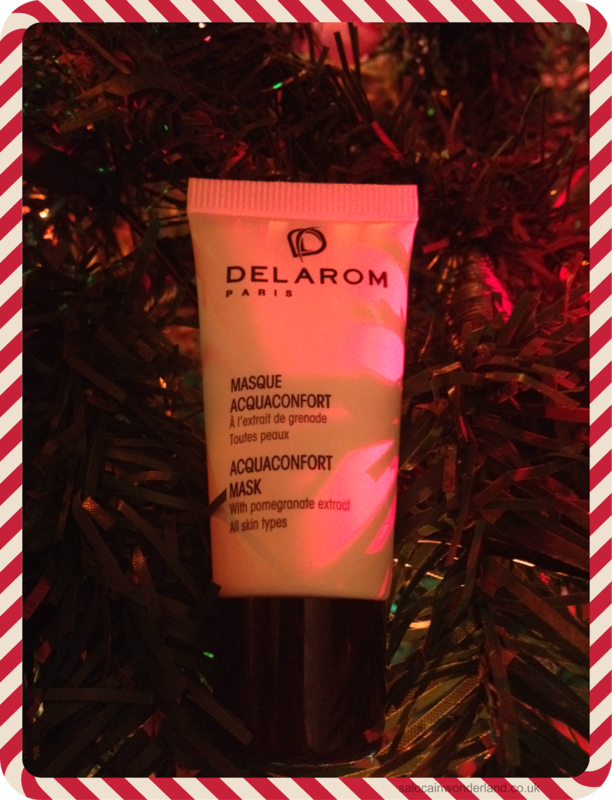 This one boasts hydration and the restoration of suppleness and vitality – perfect for the morning after the night before I’d say! I love the colour of this, it’s a really nice brown/taupe shade with lots and lots of sparkle! It’s right up my street. I love mineral eye shadows; they are so build-able, making them great from both day and evening wear. I got the shade Paris. A nourishing non greasy body lotion with fresh lemon, and boy do you smell the lemon! It actually reminds me of a lemon scented bathroom cleaner we have, so that’s a little off putting! It dries really nicely into the skin though. What I really love about this product is a portion of the proceeds go towards protecting the honey bees and their environment. I’ve seen some amazing eye palettes this brand is releasing next year and I’m really excited! I’m a sucker for a good cause! This is probably the most exciting thing in the box! 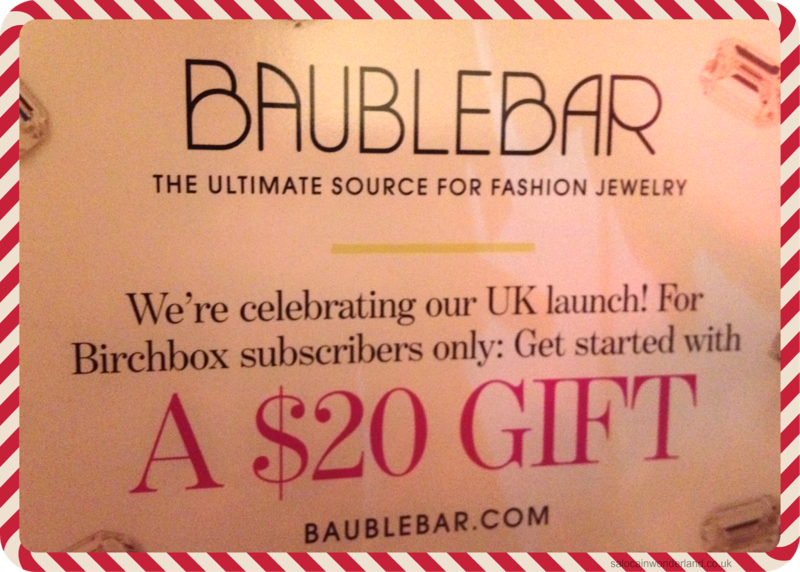 Baublebar are finally launching in the UK and I’m really excited! This $20 is roughly £12. I’ve seen so many pretty things on there already, it won’t take me long to find something shiny to purchase with it!